The Chair Caddie has padded hanging racks to protect chairs. 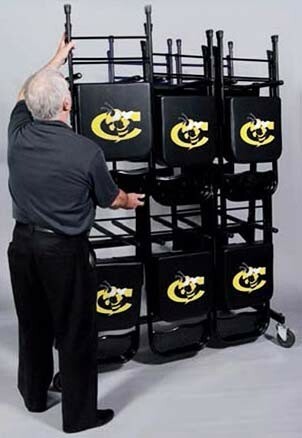 Large, heavy-duty swivel wheels make it easy to move chairs from one room to the next. Fits through most commercial doorways when loaded.